Need some fast healthy lunch ideas? Are you strapped for time in the morning? Never know what to grab for lunch besides a sandwich? Are you tired of spending lots of money eating out and wondering what to do? My latest article published in MindBodyGreen can help! It’s a familiar scenario, you have 5 minutes left before you have to leave for work and you haven’t made your lunch. You know grabbing something from the snack bar is going to be unhealthy and expensive. Next time you shop, ensure you stock up on these 6 ingredients. Having them on hand and ready to go will make fixing lunches a breeze! Quinoa is actually a vegetable from the beet and spinach family but it can act as the perfect gluten-free grain base for your salad. 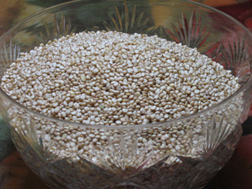 Quinoa is high in protein, essential fatty acids, magnesium, iron, potassium, copper, zinc, and minerals. Quinoa cooks up in about 15 minutes and is very versatile. Add it to soups, salads or any meal where you would use rice. Always cook extra and keep it in the fridge. Finely grated carrots add an extra vegetable to any meal in an instant. 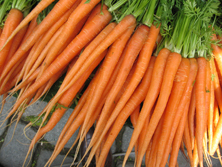 Carrots are high in vitamin C when eaten raw. The high fiber content helps lower cholesterol. The beta carotene is converted into vitamin A, which protects vision, especially night vision. It also helps prevent macular degeneration and cataracts. Beta-carotene is a powerful antioxidant that boosts the immune system and fights against the free radicals that cause cancer. It also reduces the incidence of strokes. Beta carotene is a fat soluble compound. In order to absorb it, you need to eat carrots with some healthy fat or oil. Always eat them with a salad dressing containing oil or with our next ingredient. Another of my Fast Healthy Lunch Ideas...When you eat healthy fats, you lose fat. Avocados are rich in healthy essential fatty acids which contain natural anti-inflammatory properties; regulate blood sugar; and are high in fiber, vitamins and potassium. And, they are good for your heart. Cut your avocado in half and bring it along. At lunch time, peel it and cut it into cubes. 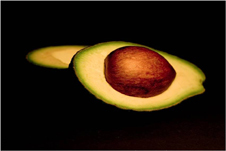 That green outer layer of the avocado’s flesh is high in cancer fighting antioxidants. 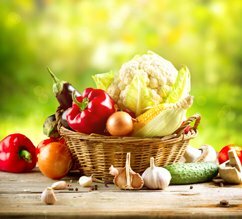 Many people think of only using lettuce, tomatoes, and cucumbers in a salad. Pump up your veggie intake by adding all kinds of left over, lightly steamed vegetables from your dinner the night before. Beans, broccoli, cauliflower, potatoes, beets, corn, peas, asparagus, sweet potatoes… ah, the possibilities. To balance out your lunch and satisfy your appetite, you need a source of protein. If you have a food processor, you can make your own hummus in a few minutes. (See the recipe below.) Alternatively, add your favorite beans into your salad. They are high in fiber and low in fat. Choose kidney beans, lima beans, lentils, chickpeas, etc. Cold leftover chicken or fish will satisfy the non-vegetarians. Add some flavour to these and the whole salad with the next item. Store-bought dressings contain unhealthy, processed oils, added sugar, salt, and chemical preservatives. Make a big jar of your own. Add two parts extra virgin olive oil to one part your choice of unpasteurized vinegar, apple cider vinegar, red wine vinegar, or balsamic vinegar. Unpasteurised vinegar is the best choice because the less processing a food has undergone, the healthier it is for us. Avoid white vinegar as it blocks the production of hydrochloric acid in your stomach that is needed for digestion. Add in some sun-dried sea salt or Himalayan salt and your favorite dried herbs: basil, oregano, Dijon etc., along with some crushed garlic. Transport your salad dressing in a small, leak-proof plastic container. Add it into your salad right before you eat so everything stays fresh and crisp. 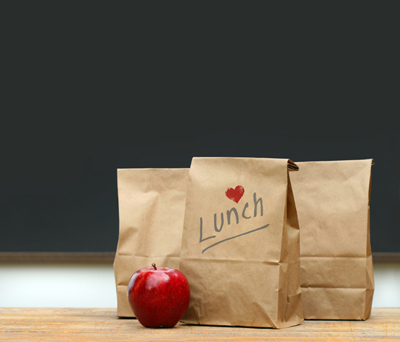 Fast Healthy Lunch Ideas that will help you save money, give you more energy, and keep you satisfied until dinner so you avoid the temptation of an unhealthy afternoon snack. 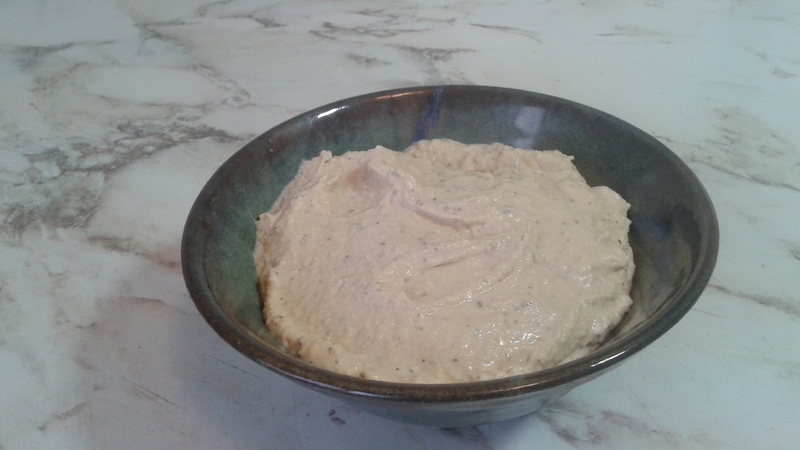 See my Quick Hummus Recipe and video! Read my on my article on MindBodyGreen﻿! Please Like Comment, Tweet and share my article with others! For help with how you can work towards eating healthy meals like this every day contact me to learn how I coach my clients one step at a time to lose the weight they want to and transform their lives with my incredible bodytypology program, the body type system for lasting weight loss... because One size fits all Never works!